Following the events of the first Ghost in the Shell movie, Major Motoko Kusanagi has since left her physical body and is now a “ghost” living in the network. This leaves Batou as the top officer at Section 9, the special task force assigned to matters of human/machine relations. Batou’s latest assignment is to investigate the recent string of suicide-murders perpetrated by a certain brand of “gynoids,” androids designed to look like women. 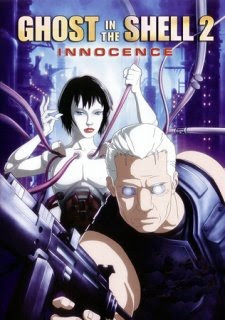 Together with officer Togusa (one of the last few people who hasn’t had his body fitted with cybernetic parts), Batou tracks down the cause of the wayward gynoidsâe all the while pondering and discussing the hazy realms where machines become dangerously close to human, and humans become dangerously close to machines.